If the term ‘porcelain veneer’ is unfamiliar, then chances are you’ve heard of the term ‘dental veneers’ or ‘dental porcelain laminates’. Don’t worry because they’re one in the same thing. Consisting of a thin customised, tooth-coloured shell, they’re designed to fit over the front of an existing tooth. Perfect for covering up a wide range of teeth imperfections, porcelain veneers are bonded permanently (well…almost) to your teeth. 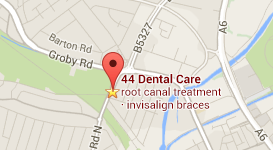 As a result they’re a highly efficient way of creating a flawless smile. That said, they might not be for everyone, so to help you decide whether veneers are the right treatment for you, here are 5 facts you really should know. In order for the veneers to sit flush with the rest of your teeth, a thin layer of dental enamel needs to be removed. Although the process is quick, painless and totally safe, once it’s been done it can’t be reversed. For this reason you’ll need to be 100% certain that porcelain dental veneers really are what you want. While dental porcelain and porcelain pottery clay have the same fine, translucent quality, that’s about as far as the similarities go. While porcelain crockery is delicate, dental porcelain is incredibly tough. It has to be to withstand normal bite pressure when eating an everyday diet. Just don’t go chewing ice cubes, or opening beer bottle tops with your new teeth otherwise they’re likely to fracture. A veneer can be colour-blended to look the part. Let’s face it, very few teeth are flawlessly white, even after teeth whitening so if you had a veneer fitted without being colour-matched, it’s likely to stand out for all the wrong reasons. 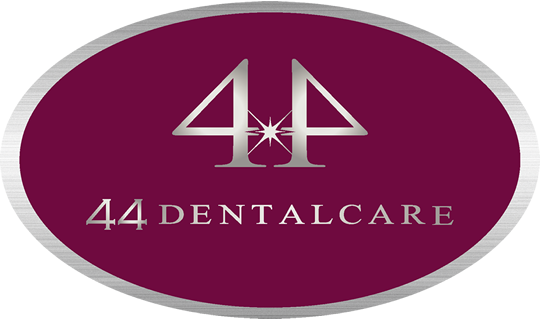 Our skilled team at 44 Dental Care have the ability to colour-blend your veneer to reflect your existing teeth, even adding in the odd blemish or two if you prefer. For the perfect end result you shouldn’t even be able to tell the difference between your natural teeth and your new veneer covers. it’s true…porcelain veneers are resistant to many of the foods and beverages which stain our natural teeth. However they aren’t stain proof. Patients will need to bear in mind that foods and beverages such as coca cola, coffee and red wine do contain powerful agents that can and do discolour teeth and eventually…will do the same to your veneers, so this is something you will need to consider. Talking of staining, did you know that porcelain veneers aren’t affected by the teeth whitening process? If you do want to whiten teeth, this should be done several weeks before any fitting as time will be needed for the final whitening results to be revealed before any colour-matching is done. Because permanent veneers take 2-3 weeks to fabricate you’ll first be fitted with temporary versions. This is done so that you can have something in place immediately, but also as a kind of ‘try before you buy experience’…we’ll…not quite…. but the idea is that you try out your temporary veneers for fit, comfort and positioning so that any adjustments can be made before any permanent veneers are fabricated. This saves both cost and time for patient and dentist. Do bear in mind however that your temporary veneers won’t be as strong as your permanent ones so you will need to be careful when eating. In addition the won’t be sitting as flush with your existing teeth as your permanent veneers will, so don’t worry if they feel a little unnatural at first. So there you have it, 5 important facts about dental porcelain veneers you really need to know. In the meantime, if you have any further questions or are considering dental veneers as an option then come and pay a visit to 44 Dental Care. During a consultation Dr Hathiari and the team will give you all the information you need to make an informed dental decision. Contact us today on 0116 2519647. How to Remove Stains On Teeth? What Are My Options?